Meet Japansk Bomuld, our second new arrival from Isager! 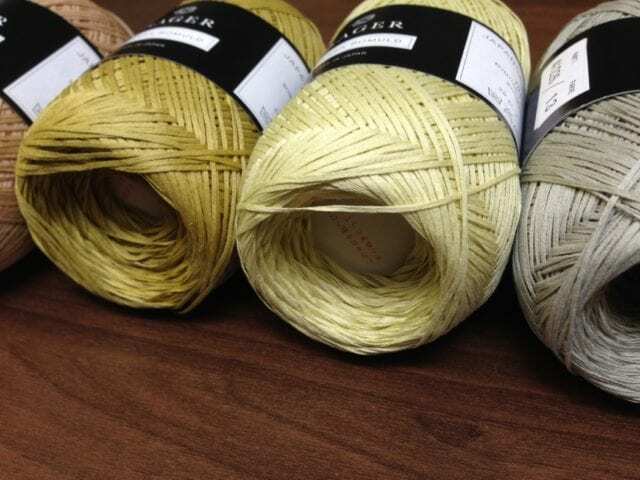 Japansk Bomuld is a lustrous lace weight cotton tape, with 344 yards per 50 gram ball. 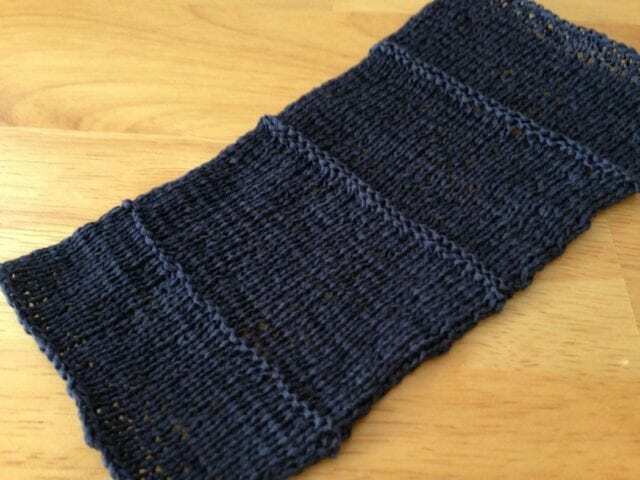 Marsha kindly knit a swatch for us in a range of needle sizes, showing how it behaves in stockinette stitch – look for it in the basket with the yarn. 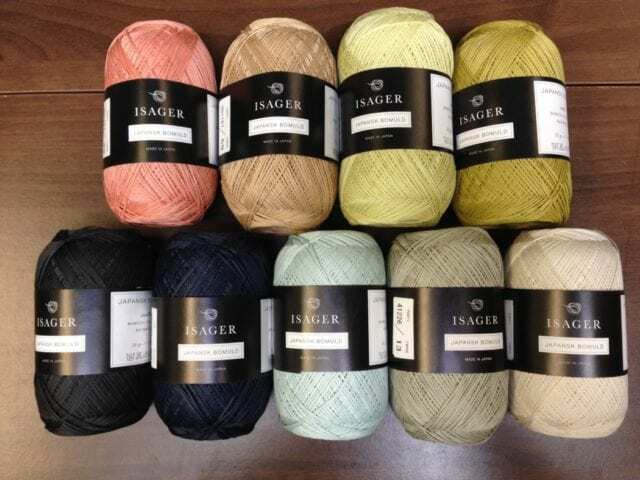 Swatches like these are just a starting place, a bit of fabric for one’s mind to extrapolate from. The fabric relaxed considerably with washing, and the fine gauge, while lovely on its own, suggests the many possibilities for yarn mixing. 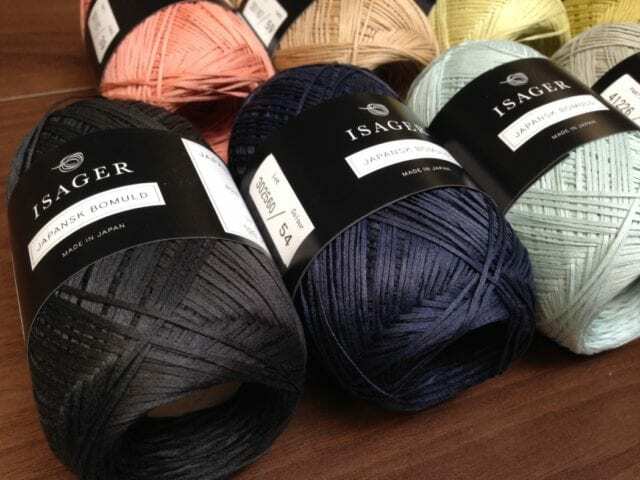 Imagine Japansk Bomuld knit with Isager Alpaca 1, Spinni, or even Shibui Silk Cloud! We have a few new patterns for Japansk Bomuld, from Danish designers Annette Danielson and Mette Winge – more on those soon. Also consider Churchmouse’s striped variation on their “Alexandra’s Airplane Scarf,” which makes good use of this special yarn. 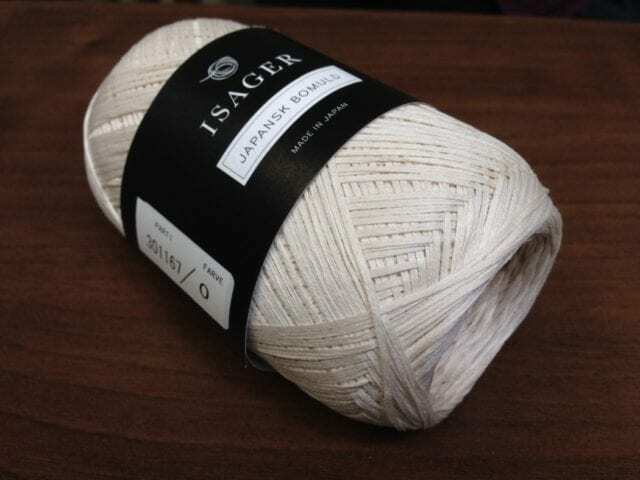 Look for more pattern inspiration on our Lace weight Pinterest board, and come by the shop to see Japansk Bomuld itself!